During the early settlement of Chewton and the surrounding countryside, it was soon realized that the land we now know of, as the Chewton Bushlands was not a very productive region. The prospectors, who came to the Forrest Creek area in the 1850’s to look for gold, quickly saw that there was none to be found here. As well there was no water, and because of rocks and sedimentary soil, grazing was out of the question. Consequently this land remained relatively untouched, missing out as it did, on the usual style of European degradation that was taking place nearby. 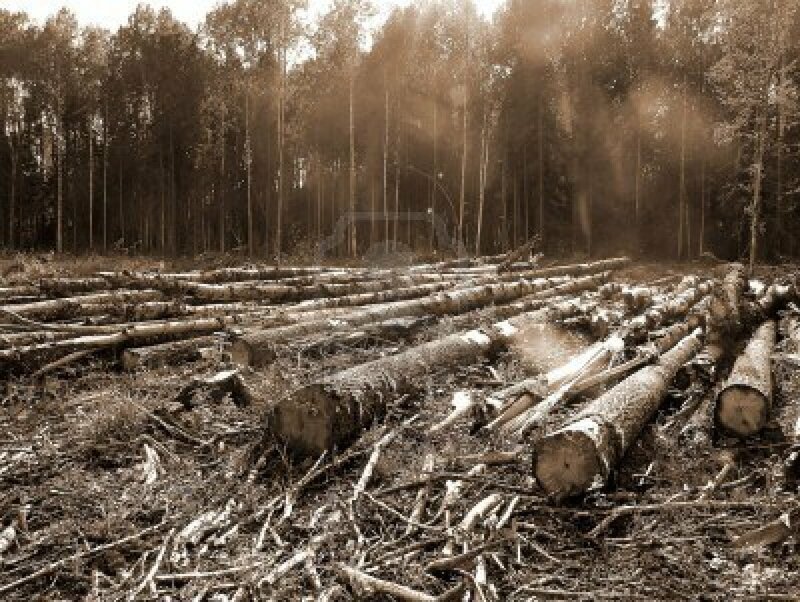 There was one thing that the region did have however, and that was plenty of trees. Many had been taken earlier by the miners for firewood and building purposes, but it was not until the 1940’s that they were harvested at an intense rate. This was done to satisfy the need for firewood and charcoal, both of these products were in short supply, due to a scarcity created by WW2. They were in great demand for example, by such industries as the Thompson Foundry in Castlemaine. It must have been a very degraded bit of real estate directly after the war, not even suitable for soldier settlement, just a mess of uprooted stumps, a damaged ecosystem and bare ground where the trees used to be. Thankfully nature does have a way of regenerating itself, so it’s likely that by the middle of 1948 it had picked up a bit. At that time it was Crown Land and it must be supposed that John Henry Thomas, a laborer of Hunter Street Chewton, felt it was worth having. 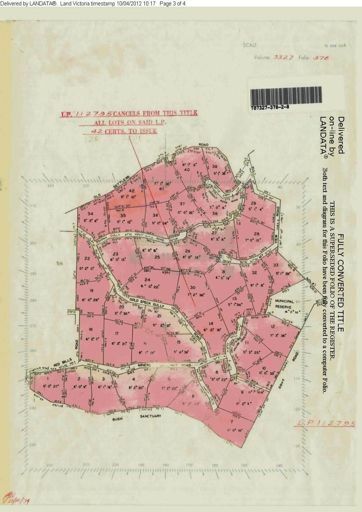 On the 1948 Registered Title it is stated that a piece of land which comprised of “two hundred and ninety-two acres, two roods and twenty-eight perches in the Parish of Talbot was a “Crown Grant”, made on the 17th.July 1948 to John Henry Thomas. He paid “Three hundred and sixty-five pounds and five shillings” for this tract of countryside, which must have been a fair bit at the time; and it was this land which was destined to become the Parsons subdivision of 1974, and which later became known as the Chewton Bushlands. On the death of John Henry Thomas in 1957 the title passed onto his Sons-in Law, Robert Peterson and George McKay, both of Eildon. In December of 1958 George Edward Exon, a retired farmer of Mitchell Street Chewton, acquired the property. The next owner was Jan Cern, a Quarry Master in Chewton, who had possession of the land from March 1965 until January 1967. Brian Edward Parsons Manager, and Merle Irene Parsons, both of Harcourt are recorded as the owners from the 16th of January 1967. 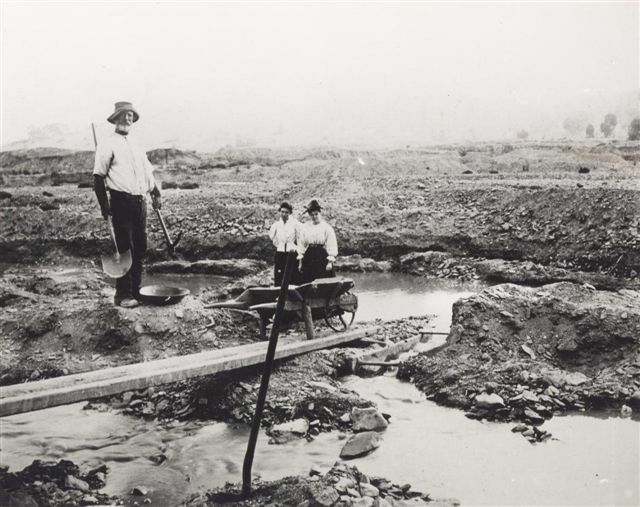 Brian Parsons must have been a very entrepreneurial type for when he realized that the land would have very little use as a mining or farming opportunity, he had the foresight to try it as a subdivision. His plan was to attract buyers from the city looking for that special ‘bush block’. The land was thereupon subdivided and the subdivision plan was submitted to the Metcalf Shire Council. (The Borough of Chewton was part of the Metcalfe Shire at the time). The original single title was replaced by individual titles for each of the 42 Lots; each lot was between 5 and 10 acres. This was done on the 8th of November 1974. It was then given the name of The Chewton Bushlands, thus distinguishing its character from that of the village of Chewton. Shortly thereafter Brian Parsons took on a subdivision project that had never before been seen in this part of the country, and one that was particularly innovative at the time. So what was behind this rush to develop? Due to sustained economic growth from the late 1960’s to the early 1970’s the subdividing of property was taking place all over Victoria. It was a moment when every outer suburb of Melbourne was experiencing rapid residential growth and expansion, and every inner and outer suburb was being subjected to change, particularly that of subdivision. Brian Parsons being the ‘go getter’ that he was, was keen to get into this development frenzy. The possibility of ‘big money’ loomed. He was not a man to abide by the rules, he disdained such things as building permits, and consequently he built privately, and excavated the roads privately. He just wanted to get the job done. As one result of that approach the Council refused to assist in the maintenance of our roads until very recently. However things way beyond Mr. Parson’ control were beginning to happen around him. In 1974 the economy went into a sharp decline, partly due to the oil crisis and partly as a result of the economic policies of the then elected government of Gough Whitlam. By 1975 both inflation and unemployment were high. This did not bode well for the selling of Lots in the Bush. Nevertheless there were a few people around who liked the idea of ‘living on the edge’, which was how it was seen at that moment in time. They were not necessarily the hippies who’d been to the Aquarius Festival, or to Nimbin in 1973, but they were certainly familiar with both events. They saw themselves as alternative homesteaders, and ones who desired most of all, to live in harmony with nature. Down the hill along Madigans Road there was a small community of committed ‘hippies’. They immediately made friends with the newcomers and passed on their local knowledge and building practices, and who knows what else? The famed Les Thornton was one such person. That Brian Parsons got rich from his subdivision scheme is very doubtful for, after Malcolm Fraser’s brutal takeover of the Whitlam Government in 1976, the economy picked up briefly. This was a temporary revival however, quickly followed by savage cuts to all public spending. The downturn continued, and by 1981 Australia was experiencing the worst recession it had seen since the Great Depression. By 1982 the resources boom had turned to bust and unemployment was back to 10%. This situation was enough to ensure Fraser’s defeat. In 1982 Bob Hawke was elected as Prime Minister and everyone felt that at last the tide had turned. Sadly there was a drought, dust storms, and Ash Wednesday, to get through before that began to happen. Ten years after Brian Parsons had first begun to sell in earnest many fresh faces arrived in the Bushlands. Tony Cook began building his mudbrick houses, Ken moved the Surrey Hills house into place and Gary Van den Driesen brought in another re-claimed weatherboard. 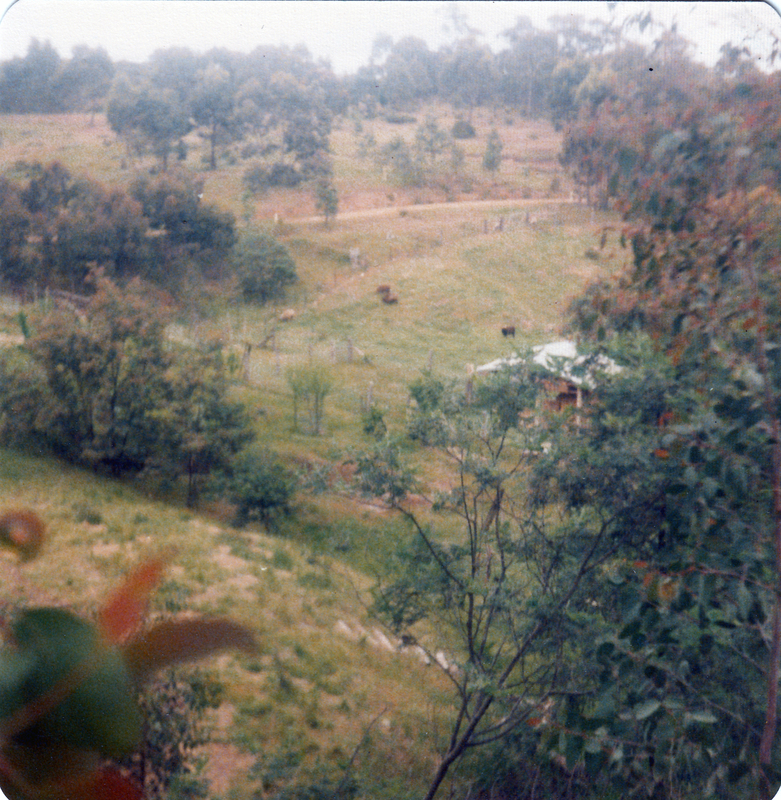 This trend continued in the early to mid 80’s, with just a few people making the Bushlands their permanent home.The Chewton Bushlands subdivision has slowly evolved in an organic way since 1974, quite differently from the way that Brian Parsons envisaged. Rather it has developed its own distinctive personality, settling into its own particular comfort zone that’s not one that any single person could impose on it, or that anyone could have foreseen. None of the hoped for city slickers that Brian was looking for took up the challenge and, perhaps fortunately for us, the people who were its pioneers, respected and were grateful for its unique character. May that tradition continue into the years to come! This entry was posted	on Thursday, February 7th, 2013 at 5:47 am	and filed under • Bushlands history. You can follow any responses to this entry through the RSS 2.0 feed.